Members of Laurier Off Campus University Students (LOCUS) recently unveiled the Kyle McCord Legacy Award, named in honour of Kyle McCord, a current fifth-year film studies student and campus ambassador at the Welcome Centre. The award is set to be presented on an annual basis to a first-year student on the LOCUS House Council. The recipient of the award will be selected based on their level of commitment and dedication to the LOCUS program. “This student should be a support to other council members, go out of their way to make others feel included and be someone who inspires others to reach their full potential,” said Jessi Calberry, coordinator for the Centre for Student Life and Engagement in an email to The Cord. In his time at Laurier, McCord has been deeply involved in the LOCUS program. He began as a member of House Council, then moved on to become a don, a House Council advisor and then the coordinator of the whole LOCUS program. It was originally McCord’s idea to establish an award to honour exceptional first-year LOCUS House Council members, but the decision to name that award in his honour came as a surprise to him. If I could give any advice … is just think about what you’re doing and what legacy you are leaving. “I was shocked. I just remember them explaining the award and how it was going to be newly named the Kyle McCord Legacy Award and my mouth just dropped … it was a very humbling experience,” McCord said. At LOCUS’s recent year-end banquet, the award was presented to its very first recipient, a Laurier student named Nolan Schleimer. 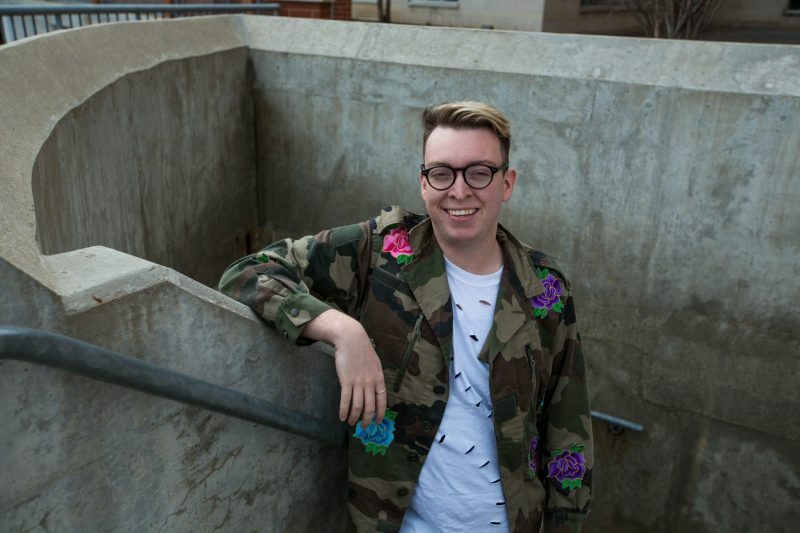 “Talking to him about what he’s done in LOCUS was very reminiscent of what I was doing in my first-year and how I felt coming on to campus and how I felt wanting to get involved but not knowing how because I wasn’t directly on campus,” McCord said. It was through engagement with the LOCUS program that McCord found a sense of belonging at the university. “When I started [at Laurier], living off campus in my first-year, I just thought I would come to school and go to class and go home, but that completely changed when I joined LOCUS and started getting involved,” McCord said. Having the award named in his honour caused McCord to reflect on his time at Laurier and the impact students have the potential to make while in school. “If I could give any advice to people, even Nolan who got the award or anyone, is just think about what you’re doing and what legacy you are leaving. I never really thought about it until I got this award and I always kind of thought I was just doing what I wanted to do,” he said.